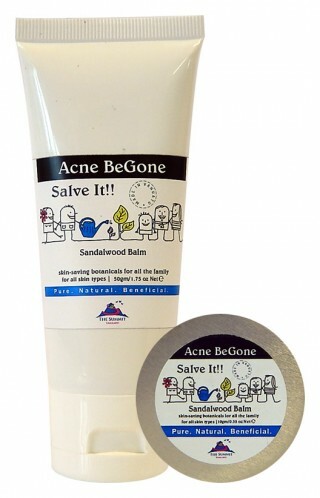 A soothing, natural acne-prone skin restoring solution in a kit. 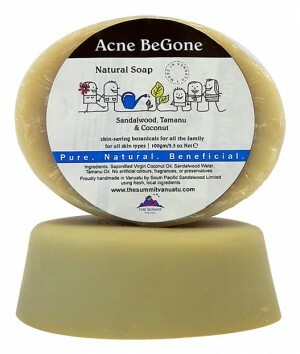 One routine you will come to love and appreciate is Acne Be Gone, an effective cure for teen acne and sensitive or problem skins. 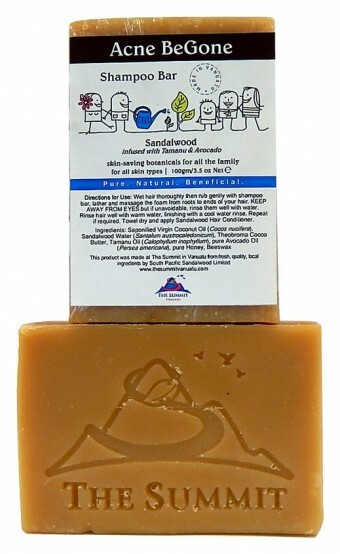 Try it as a beneficial antidote for those nasty chemicals that strip the skin of its natural antimicrobial acid guards, exposing pores and leaving the skin defenceless against infections and bad bacteria. A principle healing botanical ingredient is Tamanu Oil. The best Tamanu Oil in the world is made in Vanuatu, the Tamanu nuts sourced only from the trees that grow naturally by the seashore. The oil is then extracted from the fruit by the cold extraction method. Tamanu absorbs completely into the skin, with no greasy residue. Extra Virgin Coconut Oil is the Queen of Coconut Oils, and we use only this premium coconut oil in our skincare products. The cold process technique used to extract the oil ensures that none of its essential fatty acids and other beneficial elements have been removed. 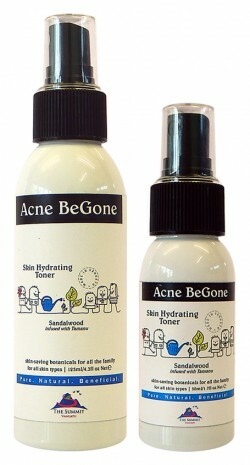 This is SO critical in effective skin care. 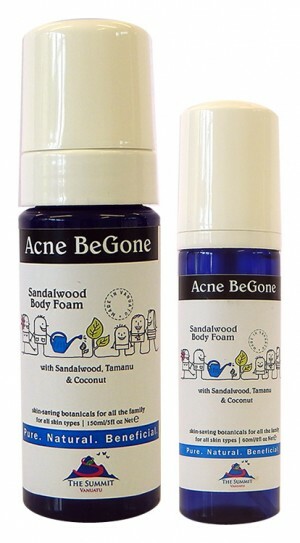 Although we have had consistently positive feedback and many happy customers, for some, the Acne Be Gone treatment with our pure and natural products containing sandalwood and other oils may not produce the desired result, although the use of the products themselves will not be harmful, being simple botanicals. In such cases, you will need to accept that a natural cure is not for you and you should then consult a dermatologist who will prescribe the appropriate medication.